WATCH: To mark the dedication of a Sally Ride Forever stamp by the U.S. Postal Service May 23, Sally Ride Science and UC San Diego hosted a lively discussion on Women in Leadership. Panelists were Billie Jean King, tennis legend and human rights activist; Ellen Ochoa, first Hispanic woman in space and former director of NASA’s Johnson Space Center; and Condoleezza Rice, 66th U.S. Secretary of State. Lynn Sherr, journalist and Sally Ride biographer, moderated the conversation. 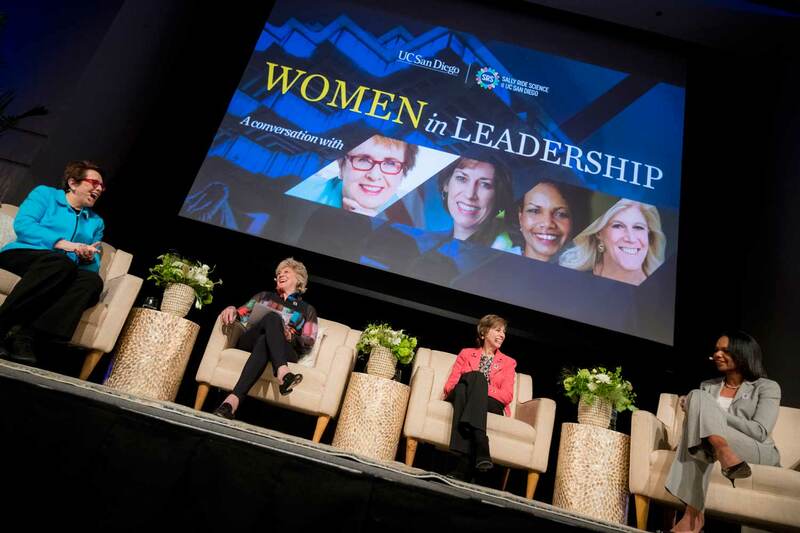 WATCH: Opening remarks for the event were delivered by UC San Diego Chancellor Pradeep Khosla; Executive Vice Chancellor Elizabeth H. Simmons; Tam O’Shaughnessy, cofounder and executive director of Sally Ride Science @ UC San Diego; and Sherr.